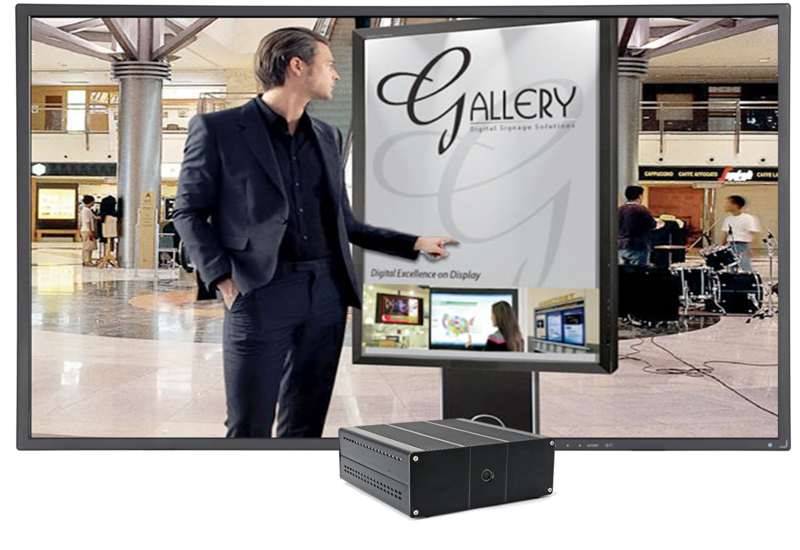 The Gallery Wall mounted digital signage system is a universally applied system. Plays images,video, flash, PowerPoint web pages and more. Preset templates and layouts included. Full calendar and daypart scheduling. Managed locally or via local LAN network. Upload media right from your network desktop, smart phone or tablet. Bright 47″ 1920 x 1080 resolution. Ideal promotional medium for any public space. Perfect for hotels, Banks, Retail, Restaurants, Hospitals, & Lobbies. Powered by the Gallery 2000. 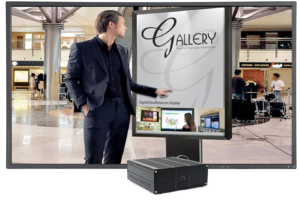 47″ display wall mountable for any public space.